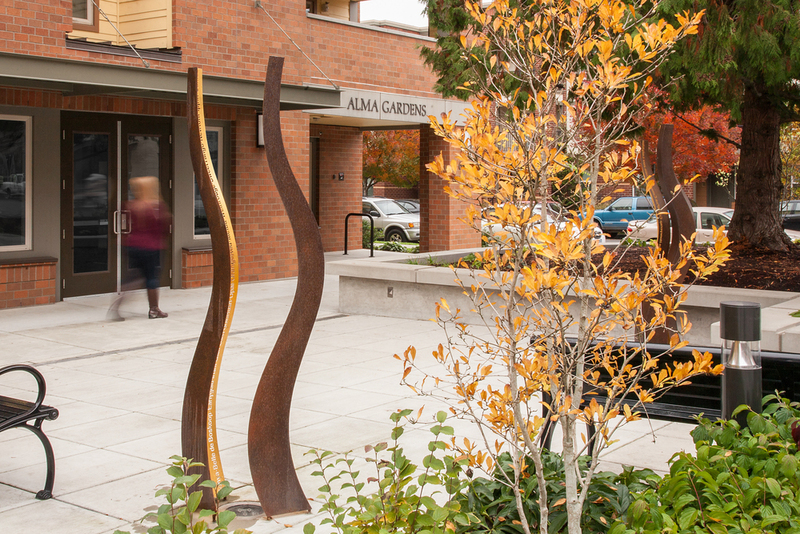 Alma Gardens is a 45-unit apartment development for lower income seniors. Developed by Northwest Housing Alternatives, Alma Gardens will provide a convenient location and beautiful, affordable homes. 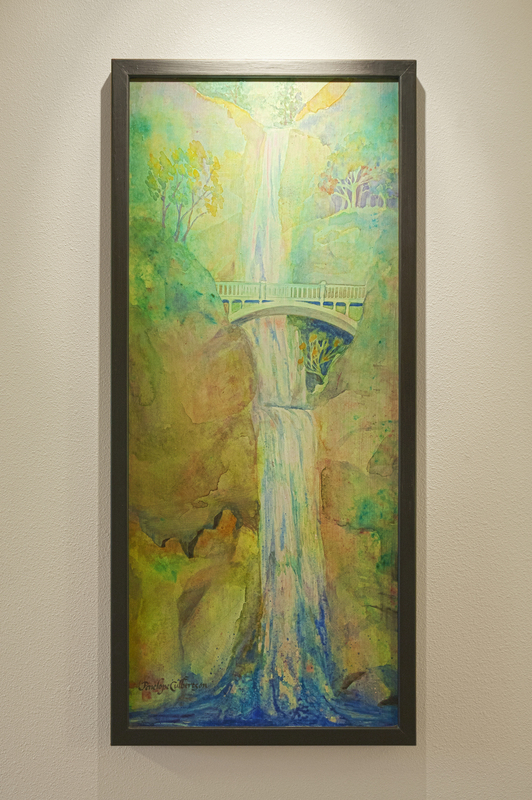 Kimberly Kent Art Brokerage has filled the common areas with local and meaningful artworks that represent the Pacific Northwest and honor the population it serves. 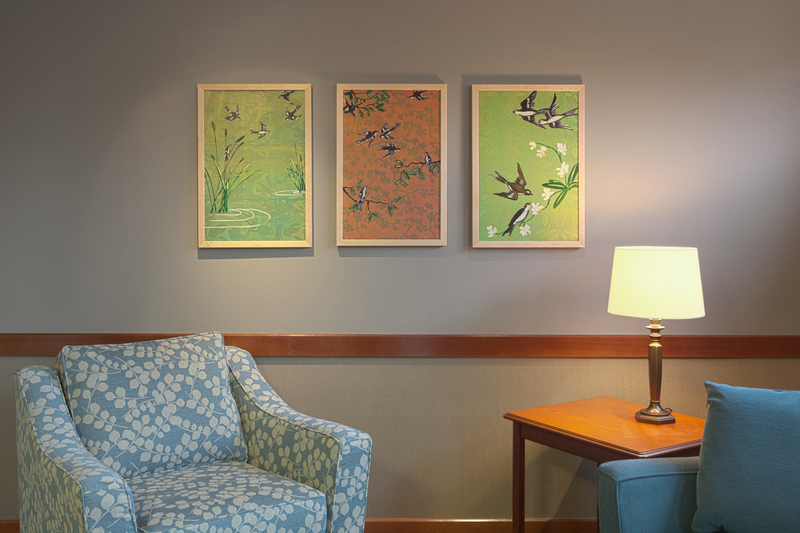 These rich works support the client’s focus on providing residents a beautiful, comfortable space to call home. 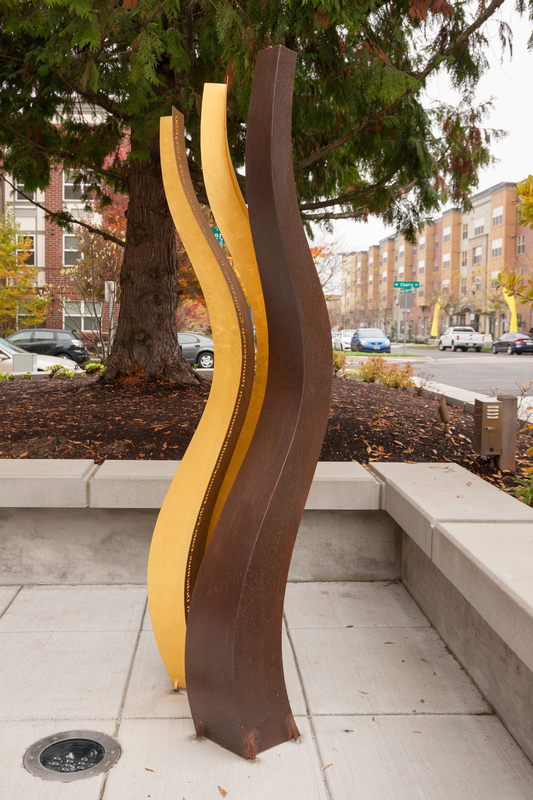 There are two sets of steel curved sculptures that welcome residents and guests to the building. 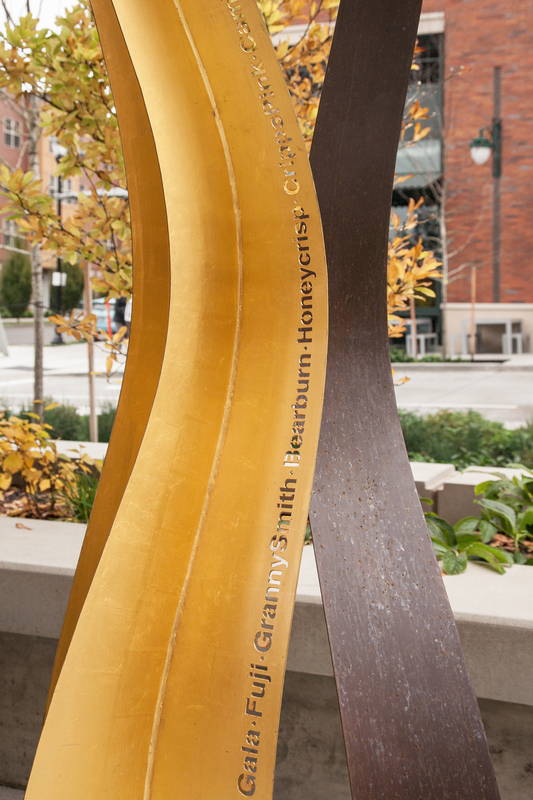 The sculptures have the names of many varieties of old and new world apples cut from them, paying homage to the Alma name, the Hungarian word for apple. 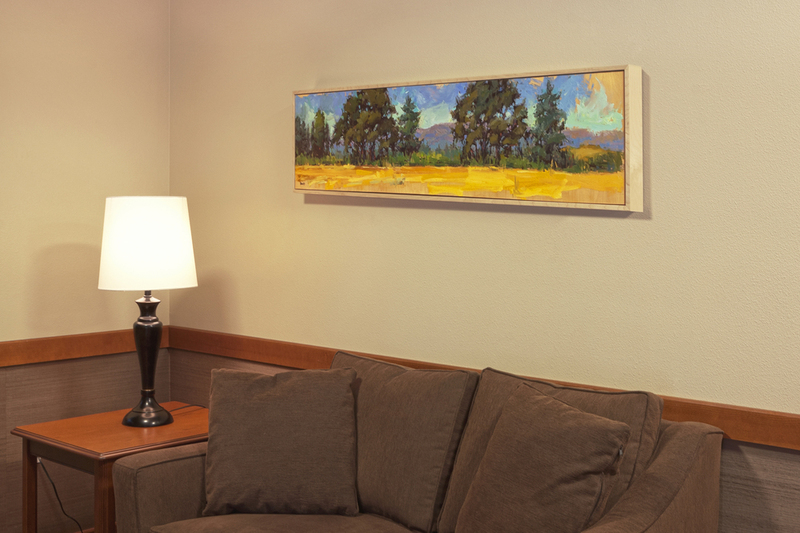 The property features a community garden and a beautiful handcrafted fence that was commissioned to be made from reclaimed steel and silverware celebrating the agricultural area surrounding the property. 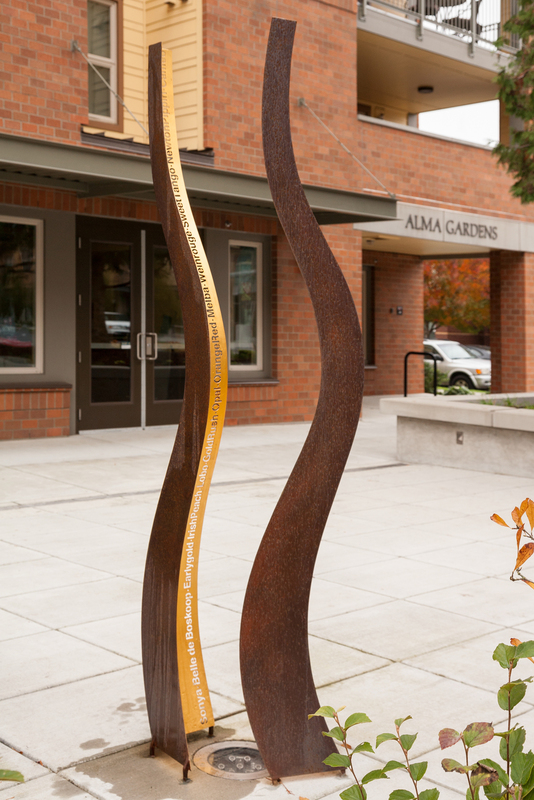 The rear garden gate is an homage to Hillsboro’s farming past, made of reclaimed steel silverware, bike parts and other upcycled materials. 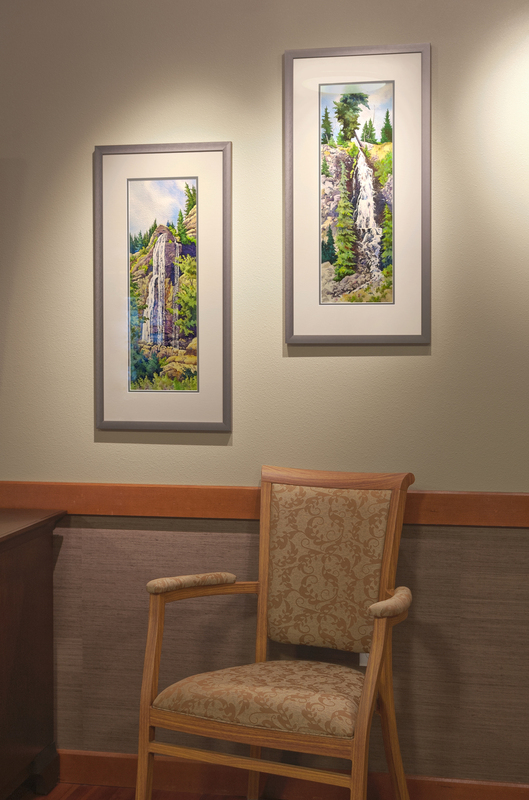 The interior spaces include over 30 paintings and photographs all by local artists.